STOP BY TODAY TO SEE WHAT WE HAVE IN STOCK AND GET THE BEST DEAL ON A USED CAR GUARANTEED! MORE THAN 200+ CARS TO CHOOSE FROM. 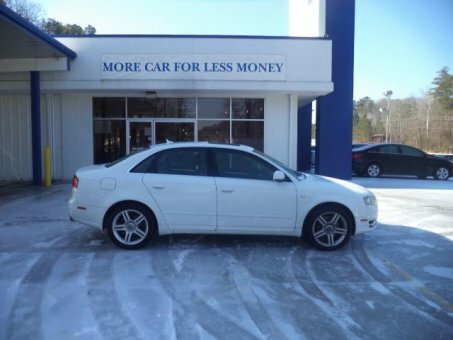 The Audi A4 is comfortable, sporty, and surefooted on slippery roads. High-quality cabin, agile handling, high crash-test scores, available in multiple body styles, all-wheel-drive availability.